3D printing technology can now be used at home to print models of some of Ford’s most well-known cars, including the all-new Ford GT, Mustang, and Focus RS. These are three cars for which Ford engineers say 3D printing played a key role in the development of the full-sized vehicle. Ford uses 3D printing to reduce development time through the production of prototype parts that enable designers and engineers to quickly test and refine different approaches. Traditional prototyping methods require special tools and can be time‑consuming. Ford says it can print a 3D part in a few hours and, for as little as £750, open up the opportunity for more experimentation and more radical, innovative design. 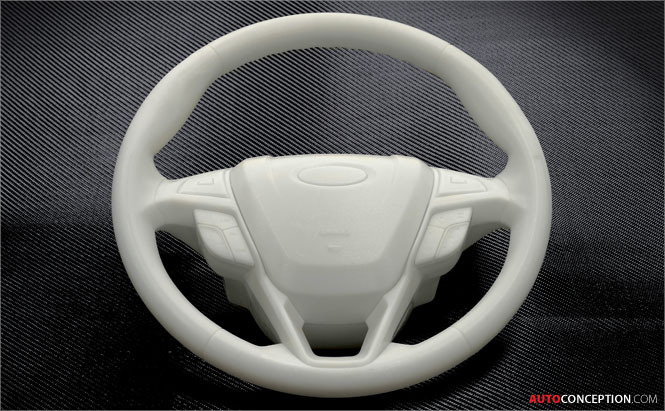 For the Ford GT, designers used laser 3D printing techniques to help create the F1-style steering wheel with integrated driver controls and the transmission paddle-shift controls. Engineers also printed key lightweight structural components for the upward-swinging doors. For customers with their own 3D printer, an online “Ford 3D Store” offers the first carmaker‑authorised one-stop store for 3D-printable files. As well as enabling customers to print their own Ford GT, templates for a further 1,000 models also include the Fiesta ST, Focus ST and the F-150 Raptor. 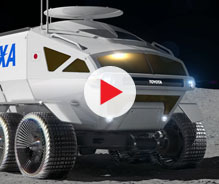 “3D computer printing technology has totally changed the way we design and develop new vehicles. 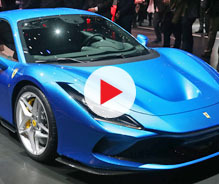 We can be more creative in trying to find potential solutions, and for the customer this means that our cars are better able to incorporate the latest thinking in design and technology,” said Sandro Piroddi, Ford of Europe’s Rapid Technology supervisor. Ford bought the third 3D printing machine ever produced in 1988, and has since produced its 500,000th 3D printed part globally – an engine cover for the all-new Mustang. The first step in bringing a vehicle design to life is a sketch produced by the Ford Design team. Clay modellers then make a scale model and later a full-size version of the vehicle to assess proportions and develop the design. In parallel, digital sculptors create a model using computer-aided design (CAD). The two models are developed together, leveraging the strengths of both disciplines. While some parts are worked in clay, more complex or detailed items are mostly developed digitally and often 3D printed – which is where Rapid Prototype teams at Ford’s Dunton Technical Centre, in Essex and at its European headquarters in Germany come into play. Rapid prototyping helps to evaluate the design and uses one of a number of techniques to create the piece they are working on, including 3D printing. The latter requires CAD software that “slices” parts into paper‑thin layers that can be built up into a 3D printed prototype. How robust the prototype part needs to be determines the material used. It can be plastic, sand, or metal. Layer by layer, the materials are fused together into the desired shape using a laser. After printing, excess material is dissolved away and the part can be finished by sanding or painting. The completed part is then available to the design studio or test facility. 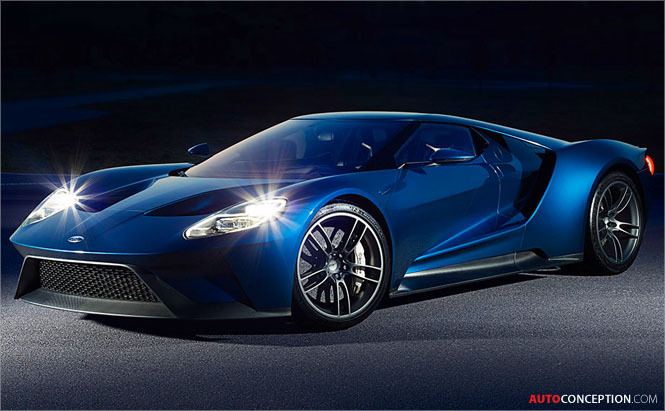 This process was a key to 3D-printed parts being used in the development of the all-new Ford GT supercar. The Ford GT race car, competing next year at Le Mans as part of the FIA World Endurance Championship, also benefitted from the technology. It was used in the development of the intake manifold on the EcoBoost race engine. 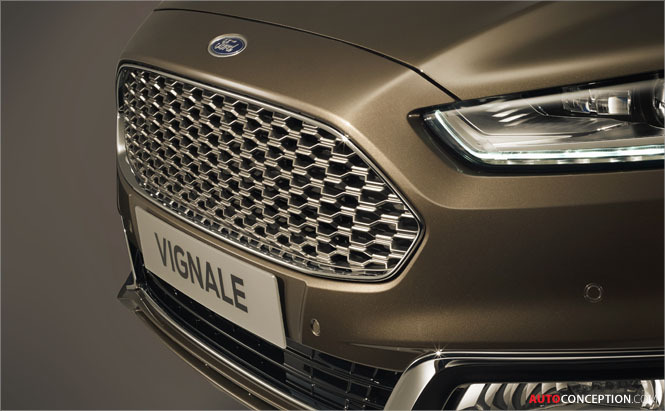 Ford designers say 3D printing has enabled them to try hundreds of different designs for the all-new Mondeo Vignale. Among prototype parts manufactured using 3D printing processes were the hexagonal Vignale design in the upper front grille. Designers also employed 3D printing to evaluate Vignale badges and exterior ornamentation, cut from nylon. The dedicated 19-inch Vignale lustre nickel alloy wheels, and dual chrome exhausts with polished aluminium surround, also were developed with the help of 3D printing. Ford is currently collaborating with Carbon3D in the U.S. to research future rapid prototyping and small manufacturing programme capabilities. 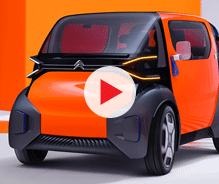 The partnership is leading the development of future 3D print resins capable of supporting the loads, high temperatures and severe vibrations associated with vehicle testing. Continuous Liquid Interface Production technology (CLIP), a 3D printing technology used in the movie industry to create special effects, grows parts from UV curable resins at speeds as much as 25 to 100 times faster than conventional 3D printing processes. The resulting parts boast mechanical properties that are applicable for a range of needs for Ford vehicles. Ford vehicle designers in the U.S. claim to have used the technology to create small interior parts for the Focus Electric and Transit Connect. 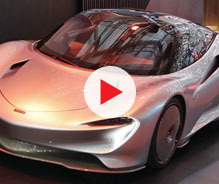 “Incredible as it is that 3D printing has been around for more than 25 years, it is a technology that is moving more quickly than ever before, opening up new ways of manufacturing the cars of the future,” Piroddi said. Can you print Plastic Prototype for Sharing Bike's Tire?